This is my Eportfolio. It is where I put all my best work. 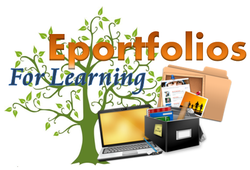 An Eportfolio is what is called an electric portfolio. It is a folder online. To keep all your stuff in. Like you can keep tests in it or stuff that you’re proud of. That is what mine is for. It is where I will be showing you all the stuff I am proud of. All the learning intensions.